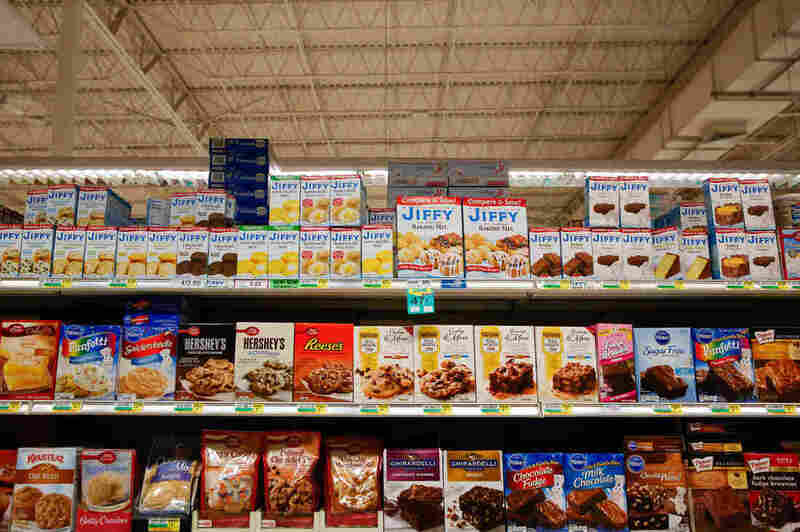 How To Make Boring Sell: In A Jiffy The Chelsea Milling Co. is known as the manufacturer of Jiffy baking mixes: for muffins, cakes, biscuits and more. Here's how the family-owned manufacturer has managed to thrive for generations. Chelsea Milling Co., best known for making its iconic Jiffy products, in downtown Chelsea, Mich.
Howdy Holmes, president and CEO of the Chelsea Milling Co., in his office. It's a company that's made a virtue out of being old-school. As President and CEO Howdy Holmes tells me, "We are clearly so far from trendy, with our products, with our packaging, with the way we do business. I mean, we're so boring, it's attractive!" As for that iconic 6 1/2-by-3-inch box? "We would be out of our mind to change that," Holmes says. "Absolutely bonkers out of our mind to consider doing that." When Howdy Holmes talks about the "boring" way they do business, here's what he means: "We don't advertise, at all. No coupons, no sample packaging, no billboards, no radio, no TV, no celebrity endorsements. Nothing." Holmes explains that by avoiding marketing costs, they can keep their retail price substantially below the competition. During the busy season, the company ships out nearly 1.6 million boxes a day — mixes for biscuits and brownies, cakes, pie crusts and their famous corn muffins. Chelsea Milling also controls all parts of production. They store the grain, grind it into flour, mix the mixes, print those blue and white boxes: everything but grow the crops themselves. That keeps prices down, too. It was Howdy Holmes' great grandfather Harmon who started the Chelsea Milling Company just west of Ann Arbor in the early 1900s. It was his grandmother Mabel who created the country's first packaged baking mix, and she came up with the name, "Jiffy." That mix went on the market in 1930, and the rest is baking history. 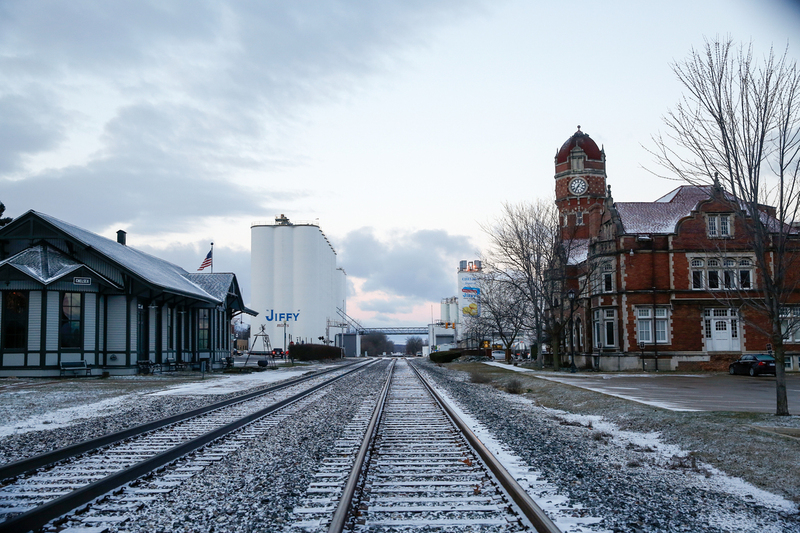 The company's blue-and-white grain silos tower over the small city of Chelsea (population 5,000) where they've always been: right in the middle of town, just off Main Street. Holmes leads us out on the factory floor, where we watch a mesmerizing parade of those familiar blue and white boxes march past on a conveyor belt. As Holmes shows us around, it becomes clear he knows virtually all of his workers by name. "Hey, Steve-oh!" he calls out to one worker passing by; "Hi Donnie, how are ya?" to another, driving a forklift, who replies with the delightfully redundant, "Hi, Howdy!" (Top) Howdy Holmes talks with employee Sandy Parker on the factory floor. Parker started working at Jiffy when she was 24 years old, nearly 38 years ago. (Bottom left) Historical photos line the walls of the factory entrance. (Bottom right) Employee lockers. 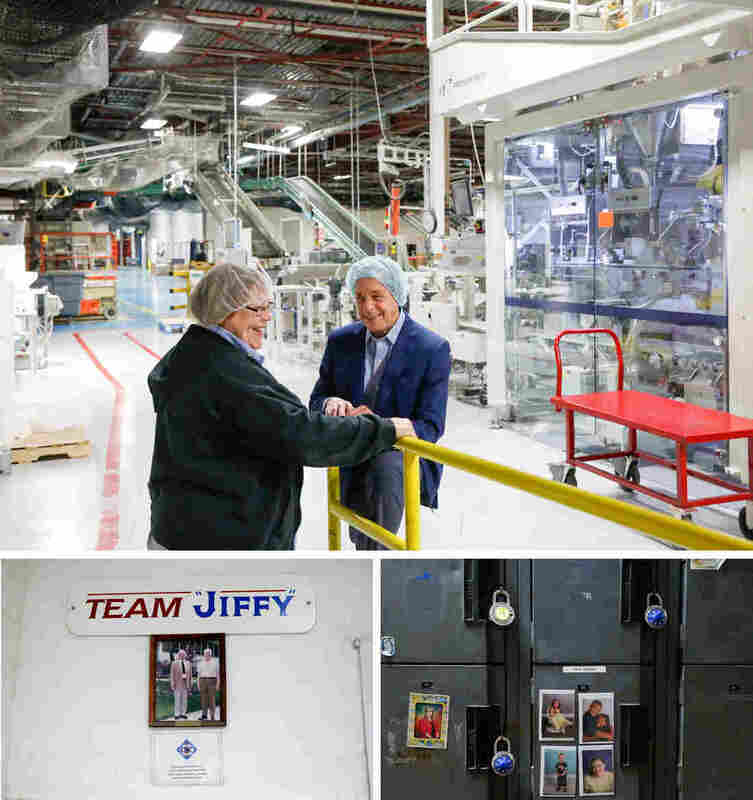 Jiffy employs 311 people, and as we tour the plant, Holmes tells me a remarkable thing: "In the history of our company," he says, "we have never laid anyone off." Remember, the company's been in business for over a century. Over time, the work force here has shrunk, but the company has managed to downsize through attrition, as older workers retire. And the future is clear as we walk past two giant yellow robotic arms, poised to stack cases of baking mix on pallets. Howdy Holmes figures each robot does the work of 12 humans. So, from 311 workers now, Holmes anticipates that "10 years from now, we'll probably have 240 people. And we'll be doing four times the volume." Scenes from the factory floor. 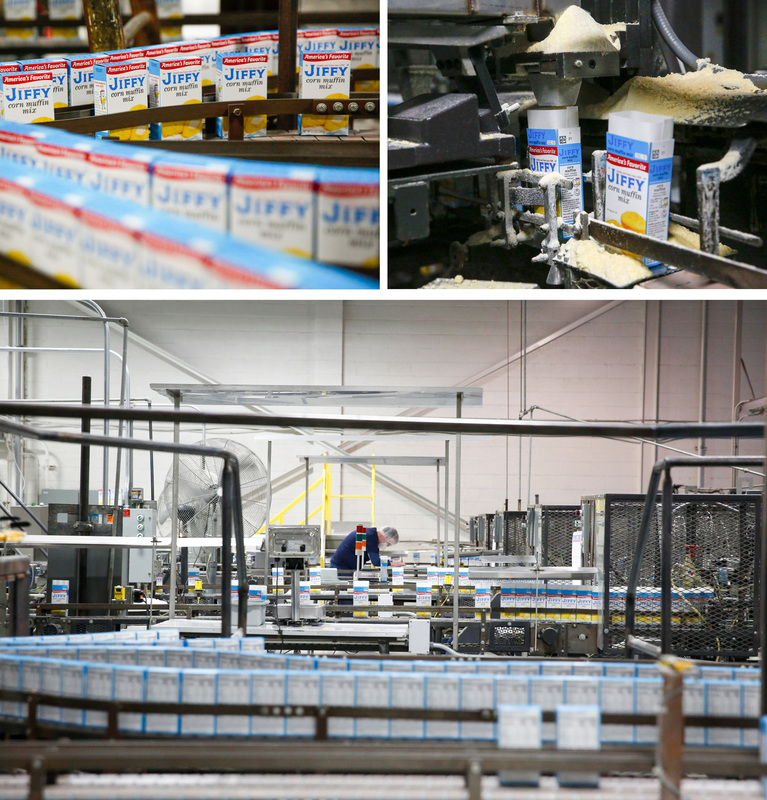 (Top left) Filled and sealed boxes of corn muffin mix on a conveyor. (Top right) When boxes are filled with corn muffin mix, an extra little burst of golden mix shoots up into the air. (Bottom) A factory worker checks boxes after they've been filled with mix. Chalk that up to automation. So what will keep this business growing? As a family business owner, Holmes says he'd like to see some changes from Washington: a lower corporate tax rate, for one. 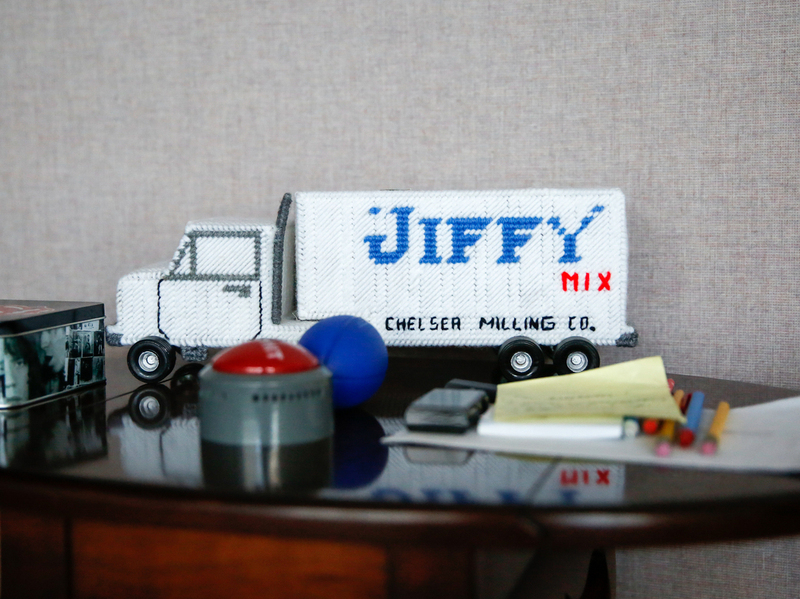 One of the many "Jiffy" themed toys, collectibles and trinkets that fill the offices of the Chelsea Milling Co. He does expect the Trump administration to improve things. 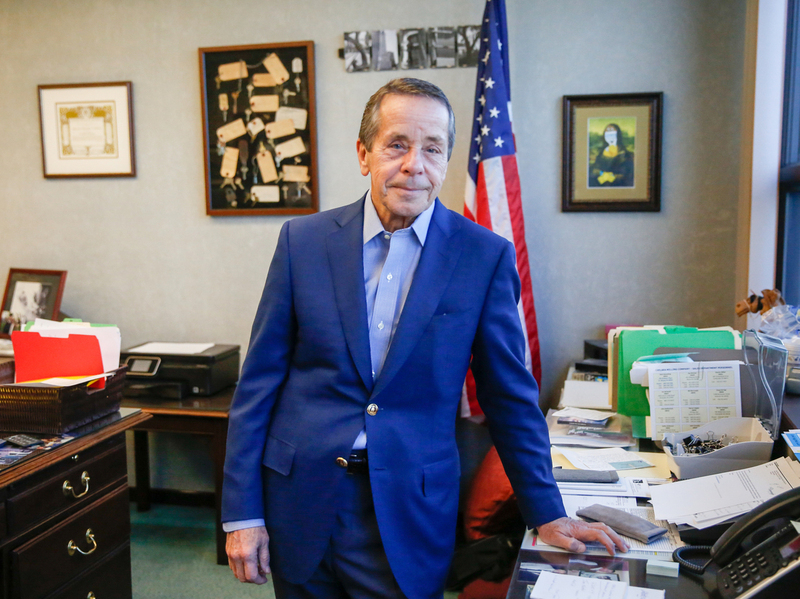 "I can't imagine how it wouldn't be better for business," he says. "We're talking about business guys. You hear a lot of conversation from elected officials about business who've never run one. I find that fascinating. I also find it not exactly favorable." Here's the stark reality this company faces: People don't bake nearly as much as they used to. Since 1991, retail sales of packaged baking mixes have been on the skids, down about 39 percent across the board. So the company is adapting. A growing part of Jiffy's business now is sales to institutions: They sell huge bags of mix to hospitals, prisons, schools and restaurants. For the rest of us, it's still the little blue-and-white box, leading to a small batch of piping hot corn muffins. With maybe a pat of butter to sweeten the deal. 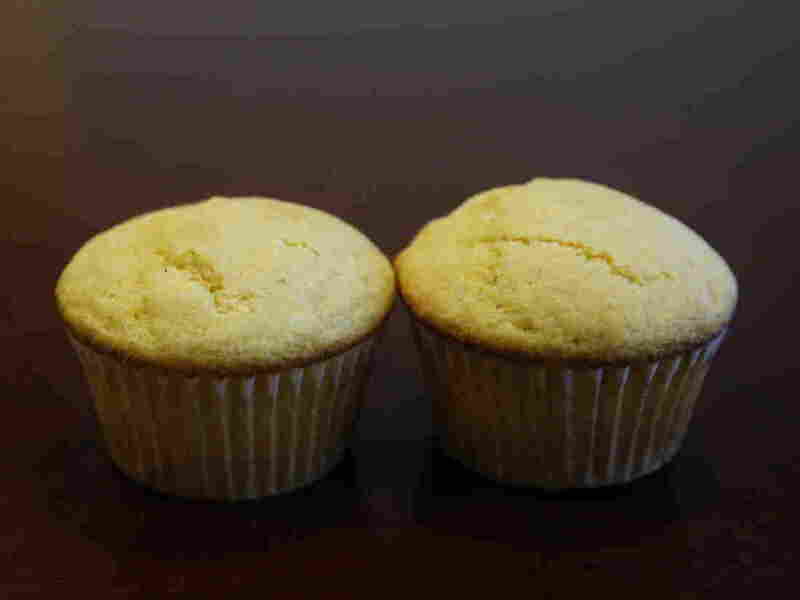 Two of Jiffy's famous corn muffins.